Insurance is one of life’s most important investments, and the company you select to advise you on your policy is just as crucial as your choice in coverage. Patton Chesnut Binder Insurance is the most reliable agency in London, KY, providing residents with a number of personal and business insurance solutions. Founded in 1972, the company has a long, established reputation for making customer service a top priority and ensuring high-caliber, affordable protection is available to everyone. As an independent agency, Patton Chesnut Binder Insurance gives you the freedom to choose the best carrier and policies for your situation. The company’s knowledgeable and experienced agents are committed to guiding you through the complex world of insurance for a better shopping experience. Taking the time to evaluate your personal lifestyle, risk level, and budget requirements, they will come up with the most suitable coverage options to offer you a secure future. These insurance agents understand that unexpected situations can occur at any time, leaving you exposed to significant financial loss if you aren’t properly insured. Because of this, it is their number one goal to give you the information necessary to make an educated decision on the type and amount of insurance you need. In addition to their dedication to customers, they also play a big role in the London community, supporting several local organizations that benefit youth and businesses in the area. 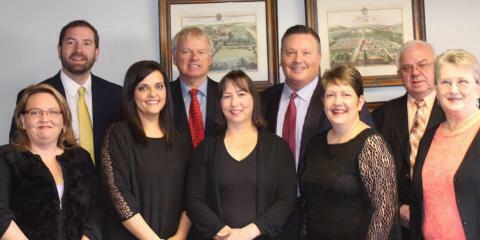 Personalized service, value, and unyielding standards of protection are what have made Patton Chesnut Binder Insurance the leading agency in Laurel County for decades. Visit their website to get a quote, and call (606) 864-5171 with any questions you have.